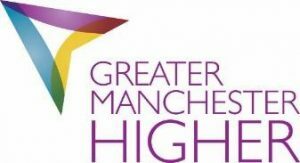 Following on from the success of last year’s programme, AccessHE will be working with Greater Manchester Higher yet again to deliver a 2 night / 3 day (Tuesday 23rd – Thursday 25th July) residential summer school in London for 50 year 12 students from schools/colleges participating in the National Collaborative Outreach Programme (NCOP) in the Greater Manchester area. The students were divided into three subject strands for the duration of the summer school – Digital Media and Design, Humanities and Social Sciences and , Science and Technology- allowing for both subject-specific work and more general activities. Just like last summer, the student will be given the opportunity to experience the capital city not just as a tourist, visitor, student or resident but all of these! Student will visit some iconic London attractions such as the London Eye and the West End, visit two different London higher education institutions and stay in real student halls of residence. Please find a sample itinerary here. If you would like to find out more about the AccessHE Capital Summer School, please contact Vanessa.Baptista@londonhigher.ac.uk.